A St. John’s County jury, possibly swayed by evidence that 35-year-old Luis Toledo suffered from a traumatic brain injury, ordered that he spend the rest of his life behind bars. Prosecutors argued that the Deltona man should get the death penalty after he murdered his wife. Evidently, the wife was having an affair and wanted a divorce. Toledo also murdered his stepchildren so they could not testify against him and because they would have prevented him from living an independent, post-divorce life. Defense attorneys presented evidence that Mr. Toledo had sustained a brain injury that made him unusually aggressive. “Bottom line is his brain is not wired the right way,” defense attorney Michael Nielsen told jurors. Mr. Toledo earlier confessed to killing 28-year-old Yessenia Suarez, but denied killing 9-year-old Thalia and 8-year-old Otto. None of the bodies have been found. Motor Vehicle Crashes: In many cases, the violent back-and-forth motion is sufficient to cause a TBI. Think about what happens to a yoke if you shake an egg. In other cases, unsecured objects in the passenger compartment, such as briefcases or cellphones, collide with victims’ heads at very high speeds, causing serious injury. Falls: Either a fall from a height or a floor level slip-and-fall have very much the same effect on the human brain. Older adults are especially susceptible to falls, and also highly susceptible to TBIs. Sudden Loud Noises: Researchers believe that construction noises and other events create invisible shock waves which significantly interrupt key brain functions, causing permanent injury. Assault & Battery: Like any other blow to the head, violent kicks and punches usually cause brain injuries, even if that was not the person’s specific intent. Damages are available in the first three incidents if the tortfeasor’s (negligent actor’s) behavior fell below the standard of care. Assault and battery are intentional torts that are governed by a different set of rules, although damages are recoverable in those cases as well. Regardless of how they occur, brain injuries are always permanent. Someday soon, doctors may be able to use stem cells and other emerging therapies to regenerate dead brain cells, but such treatments are years or decades away. Although they are quite common, TBIs are hard to diagnose, because their symptoms are so varied. For example, some people lose consciousness entirely, and others are awake but incredibly dazed. Furthermore, the symptoms are often misunderstood. What are actually brain injuries are often mistaken for either trauma from the accident or early-onset dementia. As a result, many victims do not immediately undergo diagnostic tests, largely because doctors fear that insurance companies will not pay for them. As a result, these injuries are often undetected until victims begin showing more advanced symptoms, such as personality changes, tinnitus (ringing in the ears), and mood swings. By this time, the injury is more advanced and the victim needs even more physical therapy to regain lost functions. Compensation is available for both emergency care and physical or occupational rehabilitation, as well as other direct and indirect damages. 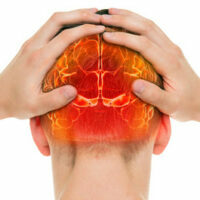 Brain injuries cause permanent disabilities. For a free consultation with our personal injury team or an experienced criminal law attorney in Tampa, contact The Matassini Law Firm, P.A. Home and hospital visits are available.